BHP's goal is to refer patients to quality behavioral providers in a hassle free, seamless manner. Care Connect enables you to update specialization, age range and insurances affiliated with your practice in order to refer patients to the most appropriate provider for services. BHP currently partners with over 5,500 individuals/clinics to provide simpler and seamless referrals to engage our patients and provide a positive outcome. BHP continues to evaluate patient engagement by obtaining information from your clinic on attendance and patient engagement (patient retention). BHP values our partnership with you. Please email Sally Olson at Solson@bhpnet.com with any questions. As always, thank you. This is a reminder that starting January 9th, 2018 Behavioral Healthcare Providers (BHP) will begin the roll out of our new online system. DURING THE MONTH OF JANUARY each provider will receive an automated email with a link to access our new system. This email will come from OnlineCare. Please check your junk/spam inboxes. Your current provider demographics and clinic information in our current database will be duplicated in our new system. Each provider (or admin assistant) will need to follow the link provided in the email. Each provider will need to access the provider profile section in our new system and enter their specialties and service parameters. 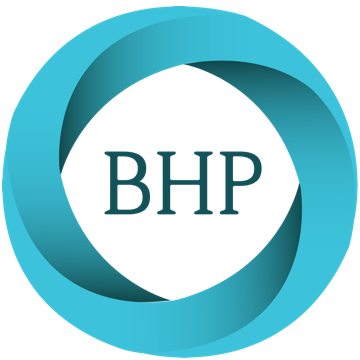 Each provider will need to complete the provider profile in order to receive referrals from BHP. We have updated our notification and authorization guidelines for in-network! Providers who are not contracted or credentialed with BHP and PreferredOne should contact Care Management, 763-486-4445, for review of out-of-network services. If you have questions, please contact Care Management @ CMMail@bhpnet.com.